Gosh!!! Looks like there’s nothing to stop everybody now, never mind if it rains…the show must go on. Lucky thing, we have fine weather this year though…not like in previous years. I doubt even heavy rain can stop it, with the wraparound wax paper. Yup, I remember worrying about whether I can let off my fireworks last year due to the weather, no such worries this year, it’s all good! Omg. The price… My sis will go crazy at it. Must let her know. It is so expensive over here. I think 4 times at least. Hapy cny to you!! 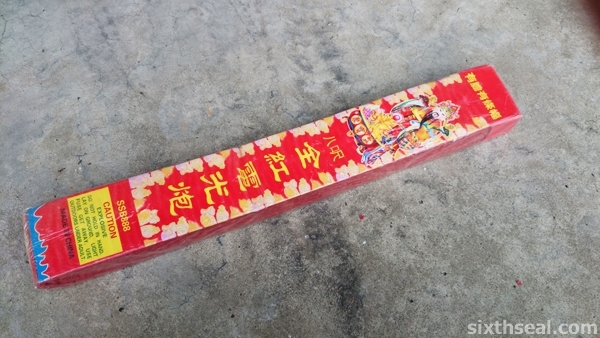 They make long ones too, marketed at the more traditional “number of firecrackers” – they have a 18,000 one (RM 80-100) and a 39,000 one (RM 120 – RM 155, although I get it for RM 80 since I buy bulk). Yeah, I think KL prices are way too expensive, I bought some fireworks in KL too and I was paying 3 times more in KL that what I paid in Sibu! 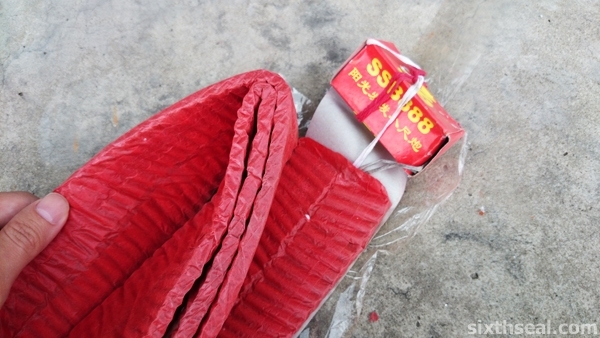 I think 4x for firecrackers sounds about right since they always want to profit on these before CNY! In china it only cost rmb10. It is double the cost. 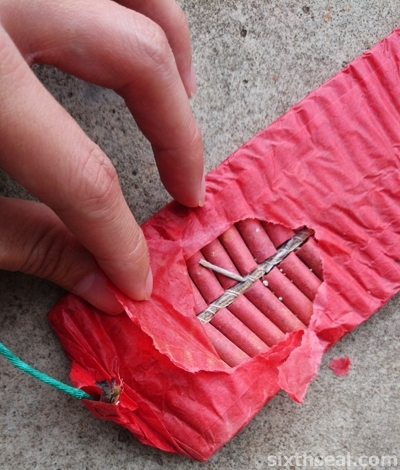 I love to play firecracker…. Paying double the price of China sounds good to me since they have to import it all the way over here, and there would be transportation charges in addition to clearing customs, storage etc which all incurs cost! They were selling these for RM 10 last year and this year it was raised to RM 15 but I got the old price since I was a regular. Haha! Thanks mate! 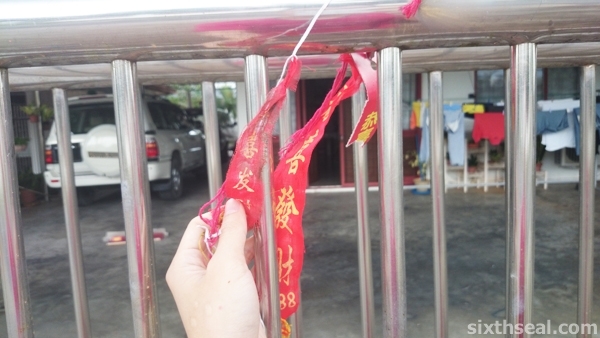 I’m glad it gave you a bit of CNY our style. I recorded it in Full 1080 HD so people can click on the HD option in YouTube and view it as it was originally filmed. That’s what I love about the Xperia Z1! It captures the fast strobing lights well and the audio is amazing too – loud and clear, hardly something people expect from a smartphone. It’s a great gadget for taking photos *and* videos and I’m using it exclusively to do that now. omg! YOU LUCKY DOG. haha! how’d you manage to get a seat where your back faces the wall? do you get to pick your own seat at work? guess who i’m sat next to? MY BOSS. 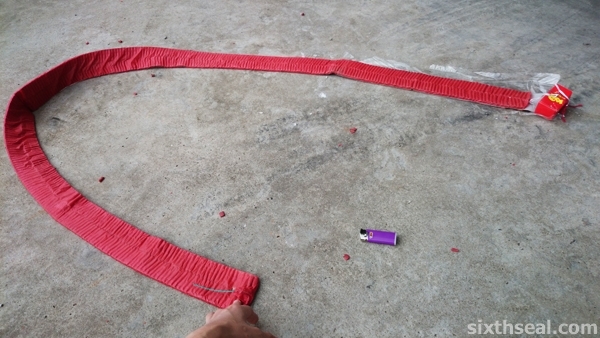 no firecrackers for me this cny.. feels like with each year, more of the "traditions" fade into thin air.. )))): so sad. Haha! I was the CTO and had a 35% stake in the company, with a paid up capital of RM 1,000,000 so that’s why I could do things like choose my own seats. I was there for over 4 years before I left and cashed out. It was fun growing the business over to have a KL office (we were in Kuching then) and do government projects with both energy providers in Sarawak and Peninsula Malaysia! I was in the papers too which I thought was funny coz I was this skinny little guy, showing the mayor how the city’s surveillance system works before I had the sense to cover up my tattoos. It’s the luck of the draw sometimes too – the 5th job I had, I just got seated in the corner with my back to the wall coz that’s the only seat empty and I was filling in for the guy who had previously sat in it. It was a mid-senior position, so I guess that was the perks that came with it. I don’t mind sitting next to my boss though, I’ve had great ones throughout the years, who don’t mind things as long as work gets done and done well. One of my ex-bosses turned out to be a good friend till now. My cousin in Honolulu own a grocery store got arrested twice for selling too many too much fireworks. The thing was he not surpose to store in this warehouse which might cause fire and and other things too. His fireworks goods one year was stolen also by someone who found out about it. Now he never again sell fireworks just food items. Wow! I thought consumer fireworks is legal in the US? It’s legal in most countries e.g. most of Europe including UK, Australia and New Zealand, but you can only let them off in public parks and designated areas and only 1.4G consumer fireworks are allowed. It’s only on designated times though e.g. sold 1 week before Guy Fawkes Day and you can only let if off on that night itself. I think it might be the fire hazard thing coz I know the US has a great pyrotechnics show called Burning Man which I’ve always wanted to go to! Or maybe it’s a different state law. Sorry to hear about your cousin! 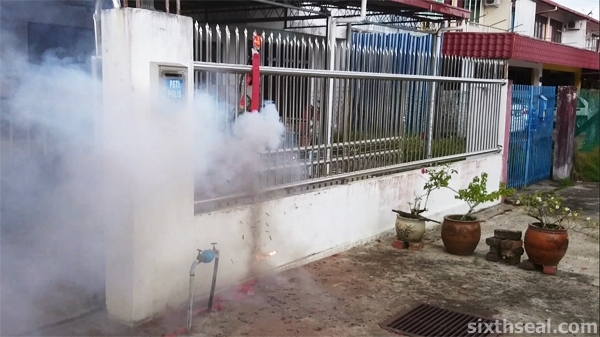 I don’t do that anymore but lighting fuses are okay with me – the green fuse (called a Visco fuse) that they attached to the bottom of the firecrackers fell off so I just lit it using the fast fuse. It’s usually okay, but with the bigger 39,000 ones eye protection may be a good idea. I never thought about that in the past – eye protection that is, but growing older, you get more safety concerns. I used to be really reckless with fireworks, dropping 3″ shells into the tube *after* lighting it and holding on to the metal tube while it launches. Imagine if it didn’t sit properly or had a bad fuse. I love filming the fireworks and firecrackers that go off at midnight during CNY eve – it lasts several hours and culminates at midnight! It certainly beats most fireworks shows I’ve seen except for professional competitions and this is all done by citizens by their own accord! It’s the best show in Malaysia! You can’t get it wet, you can pour a bottle of water on top of it and it’ll still go off (since the fuse is protected and there’s a water-resistant Visco fuse – the green one – as the initial primer). Yeah, that’s what we do too! You have to put it under the sun to bake it for a while – get rid of all moisture from transportation and storage and it actually burns better. We used to string them together too, but it can be tricky business, they might not “sambung” e.g. might stop halfway if not done right. 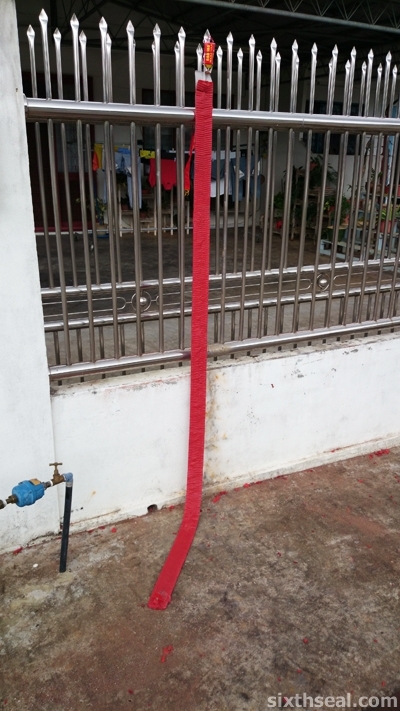 There can also be a “pause” if you use Visco fuse (since it burns slower) instead of the braids to tie multiple strings together but nowadays they sell *really long* firecrackers that goes up to 6 storeys high and needs to be hung from a CRANE! It’s really expensive though, those specialty ones.